Christopher Blevins made his mark on U.S. cyclocross at the 2018 National Championships in Reno. 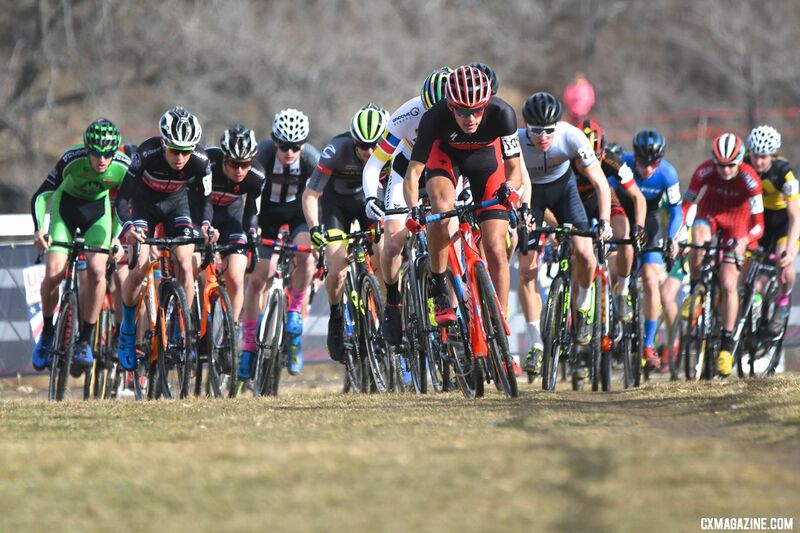 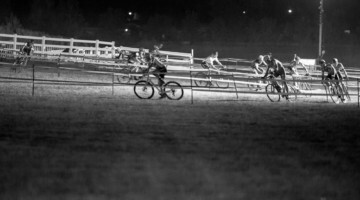 Blevins does not race a lot of cyclocross at the moment, but when the two-time U23 mountain bike national champion and Axeon Hagens Berman rider does line up on his Specialized CruX, riders take note because he intends to win. 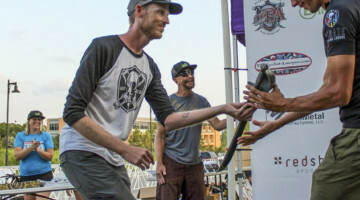 During the four races he started before Nationals this past season, he won three times and never finished off the podium. 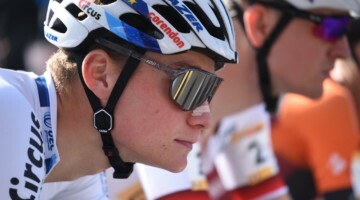 Despite any disadvantages, real or perceived, Blevins won the U23 title to add another Stars-and-Stripes jersey to his collection. 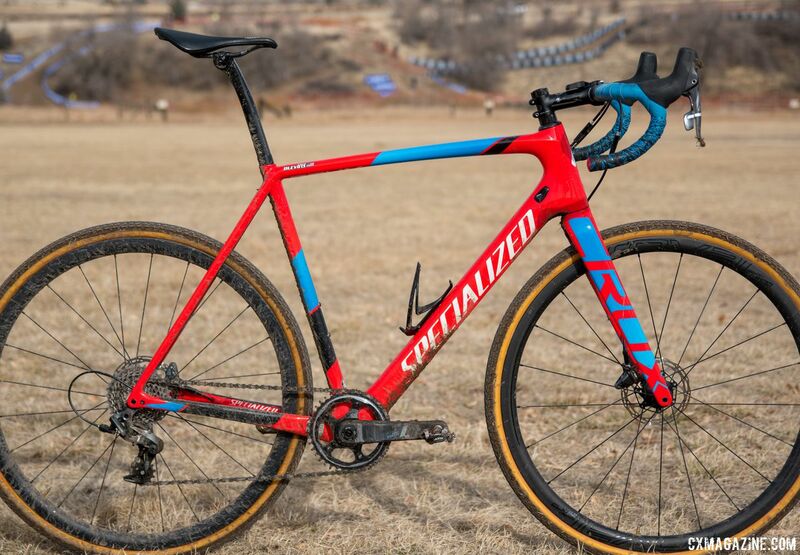 In our latest Nationals Bike Profile, we look at Blevins’ Specialized CruX that helped him attack and hop to the U23 title in Reno. 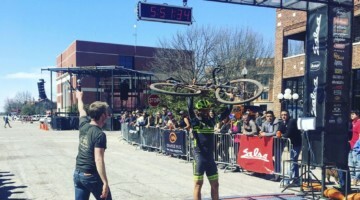 Specialized sponsors Blevins for road and mountain bike racing, and not surprisingly, he also rides the company’s cyclocross bike. Specialized re-designed the CruX for 2018 with a new frame and fork and a slightly adjusted geometry from previous models. 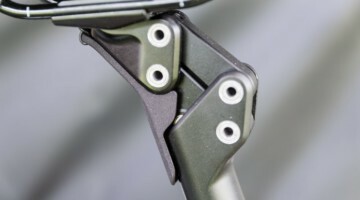 It also features standard-spaced 12x142mm thru-axles in the rear, rather than the SCS spacing briefly used a few years ago. 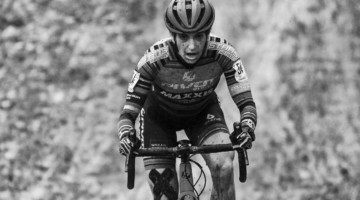 Blevins raced the CruX Expert X1, which is the top Specialized-branded model, with a complete SRAM Force 1 hydraulic groupset. 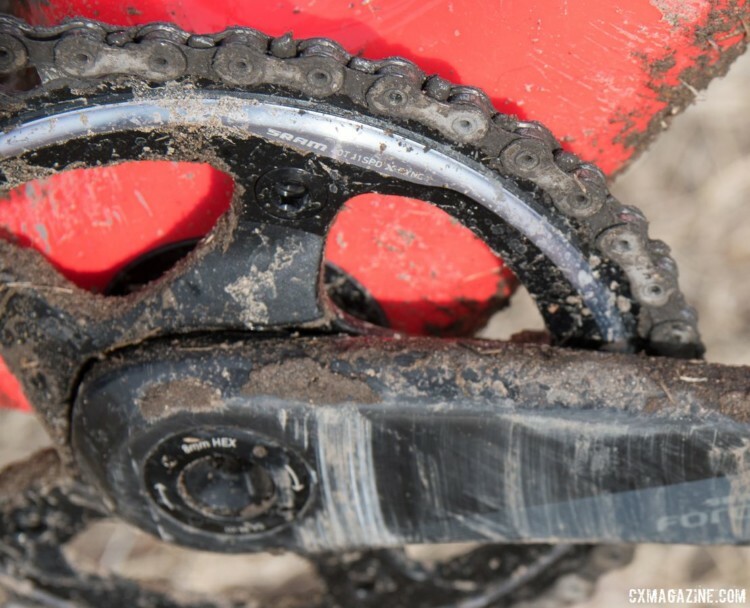 Force 1 is the highest-level groupset run by most SRAM-sponsored athletes (with a few exceptions), and Blevins followed that trend with an 11-speed, 40t X-Sync chain ring up front and Red XG-1190 cassette in the rear. 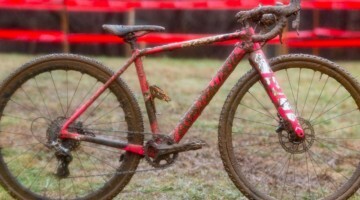 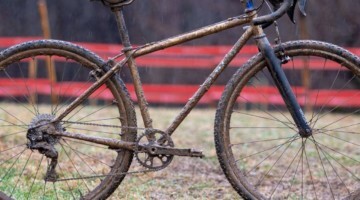 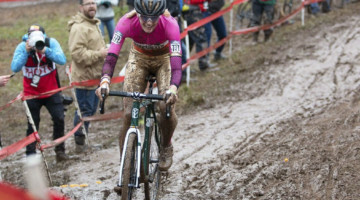 Belvins’ decision to use the Red cassette was rare for cyclocross because of its poor mud clearance. He also ran a 140mm SRAM Centerline rotor in front with the SRAM Force HRD calipers instead of the stock 160mm option. 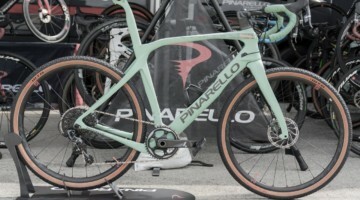 Much of Blevins’ bike was a stock build, but he did swap the stock Roval SLX 24 wheels for Roval CLX 32 carbon tubulars equipped with the currently pro-only S-Works Tracer tubular tires. 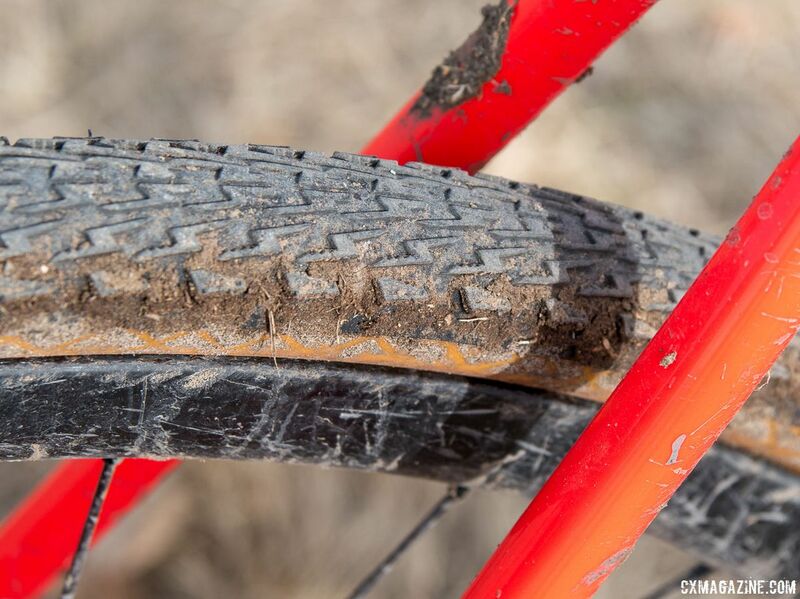 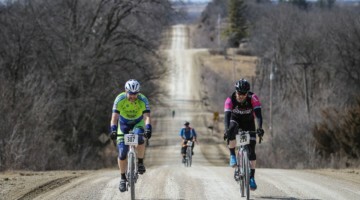 Specialized claims the revised version of its intermediate tread tire offers the speed of a file tread but more bite in loose conditions. 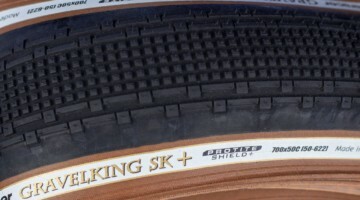 It also comes with a handmade cotton casing similar to the company’s high-end road tubulars. 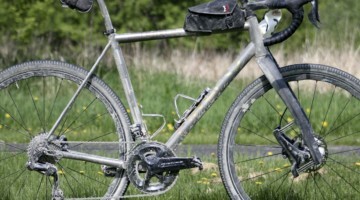 The rest of the bike was largely a Specialized affair. 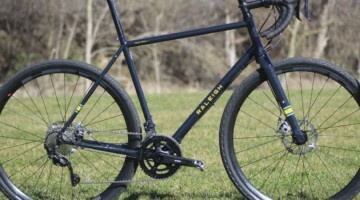 Blevins swapped the Body Geometry Phenom Expert saddle for the shorter Specialized Power saddle with carbon rails and mounted it to an S-Works carbon setback seatpost. His contact points up front were largely standard as well. 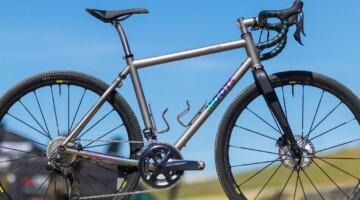 A Specialized SL alloy stem holds the Specialized Shallow Drop handlebar in place. 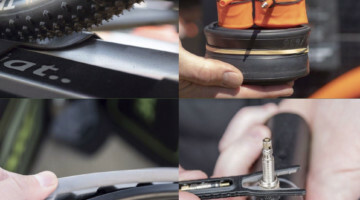 Blevins attached a SRAM MTB QuickView Garmin mount, which places the head unit above the stem to prevent damage in a crash. 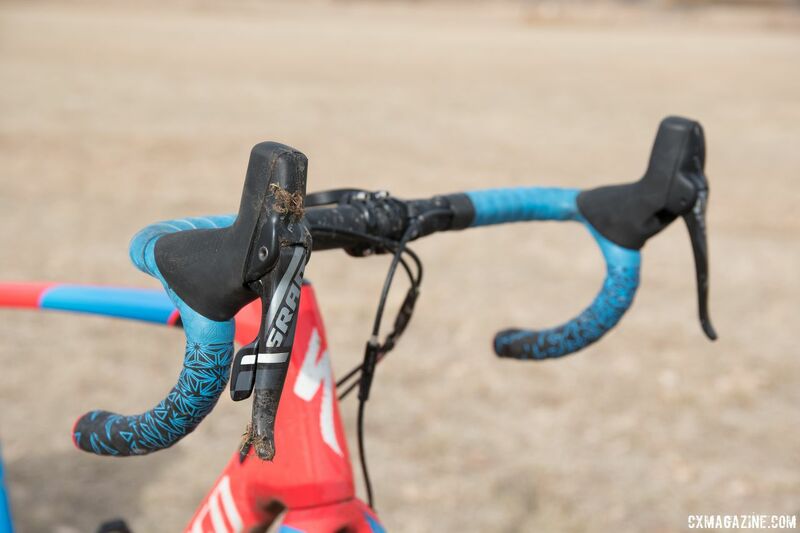 Staying consistent with Blevins’ mountain bike preferences, blue Supacaz Starfade tape wrapped his handlebar. 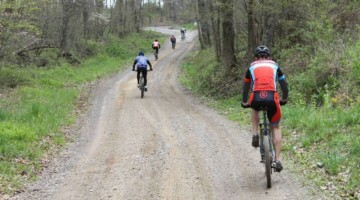 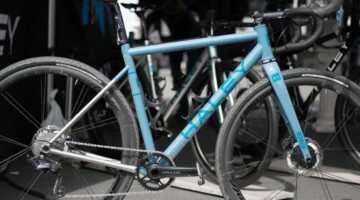 See the specs and photo gallery below for an in-depth look at Blevins’ winning Specialized CruX. 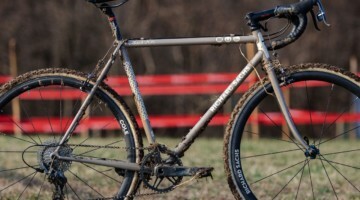 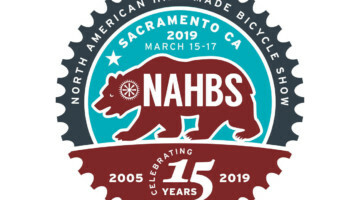 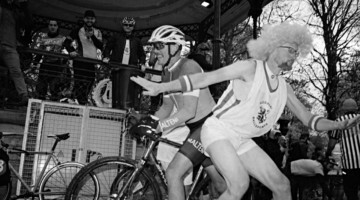 For more Reno bikes, see our growing collection of Nationals bike profiles.